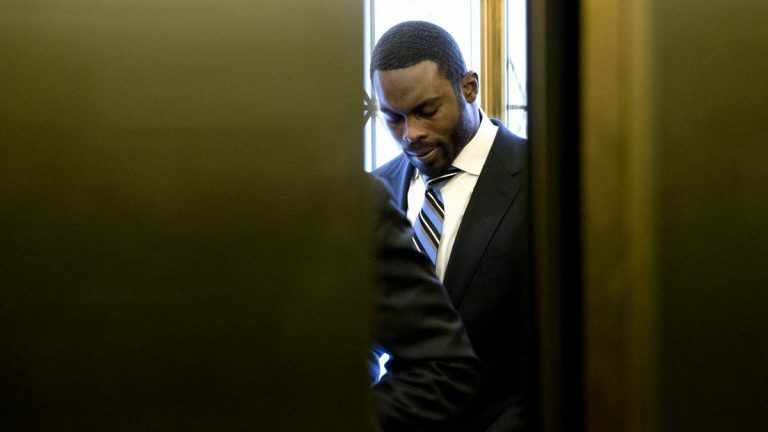 NFL quarterback Michael Vick visited Pennsylvania’s state Capitol Tuesday to make a pitch for legislation to help protect cats and dogs from being left in hot vehicles. Vick is supporting a bill that would shield first responders from liability for any property damage they cause when rescuing animals from unattended cars and trucks. The bill also would make it a summary offense to leave a cat or dog in an unattended vehicle in extreme heat. Vick was a star quarterback for the Atlanta Falcons when he pleaded guilty in 2007 for his role in a dogfighting ring and served nearly two years in prison. The Hampton, Virginia, native is now a backup quarterback for the Pittsburgh Steelers and, off the field, an advocate for animal welfare.